Nik and Ruth Ripken are back for the second half of our conversation. How do we bear other Christians’ burdens (Gal. 6:2), both those living in hostile and restricted nations, and missionaries that serve in difficult places around the world? Why is it so important, before we offer help, to offer a listening ear to hear the stories on the hearts of the people that we want to minister to? 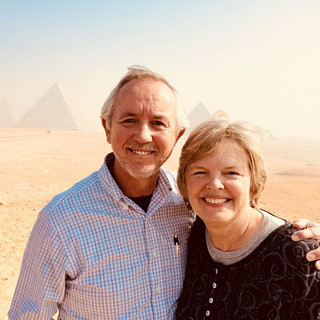 As veteran missionaries who have served for 35+ years, Nik and Ruth offer advice to American Christians on how we can minister to missionaries home from the field. How should young people feeling a call to missions respond, prepare and pray? Nik and Ruth offer advice for those sensing God’s call to serve Him in far-off and even difficult places—and remind us that ALL followers of Christ are called to GO…the only question is WHERE each Christian is called to go to. How have the Ripkens kept their marriage strong and fresh through 35 years of ministry in difficult places…and how has God used their marriage as a spiritual lighthouse to reach Muslims for Christ? Why is it that Muslims often ask them about their marriage, and about how they raised their children? What are some specific, practical ways we can pray for missionaries that we support and send out? How do we pray for Christians in the midst of persecution? How can we pray for the nation of Somalia, a nation where the Ripkens served heroically in the midst of a tragic famine. This special podcast edition of this week’s conversation includes bonus material not included in the broadcast version. If you missed the first half of our conversation with Nik and Ruth, you can listen to it here. Their first visit to VOM Radio, following the release of the film version of Nik’s book, The Insanity of God, is here.